It is mainly known for the splendid architectural structure which is further accentuated with the inclusion of splendid mesh commonly known as the Jali. This landmark mosque comprises of ten windows in semi circular patterns. Every year tourists pay a visit to this holy mosque to know more about the architectural craftsmanship of the medieval India. This mosque represents the perfect fusion of Indo-Islamic culture in every corner of its monumental structure. This landmark mosque bears the architectural influence of Indi-Saracenic pattern in every portion of its structure. The front portion represents simple architectural style along with the two minarets that are positioned in either side of the mosque. 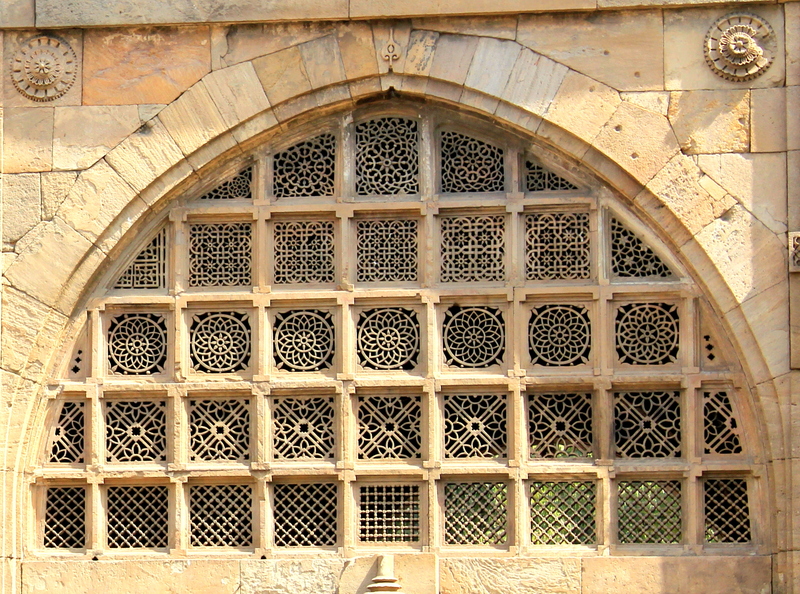 The splendid mesh of these ten windows is made of stones that form the core attraction of the mosque. In the arch of the central window there is no Jali as it was not been able to be done by the architects of those time due to the invasion of the Mughal ruler in the state. This mosque is also flanked with many other miniature works of stone to lift up the majestic appearance before the spectators. This historic mosque which is a popular travel spot in the state was established in the year of 1573. The credit for establishing such an exceptional piece of architectural wonder goes to Sultan Ahmed Shah’s slave Sidi Saiyad. The construction of this holy mosque took place before the termination of Sultanate reign from the state of Gujarat. 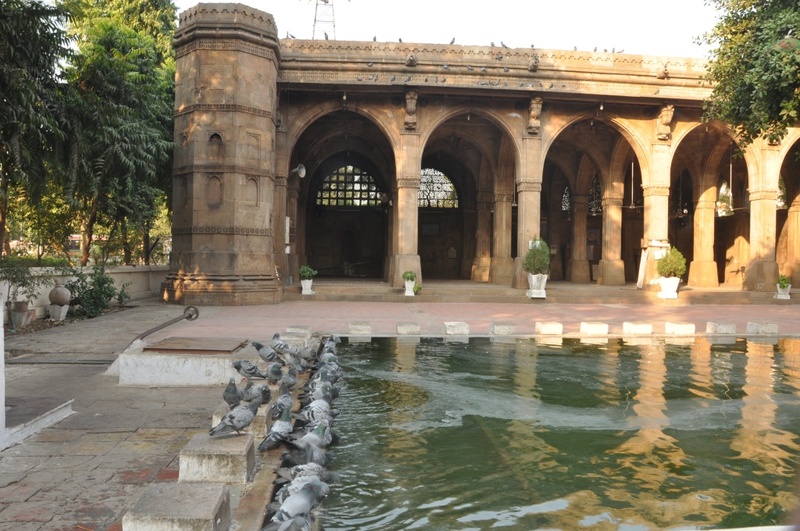 During the period of British rule, this mosque was used to be the Government office of the colonial rulers. This mosque has been carved skillfully for offering amazing view to the spectators. Even today also this mosque is the sacred place to hold namaz and other religious ceremonies of the Muslims. The period of visiting Ahmedabad is from October-march when the climate is pretty pleasant with lower heat intensity of the sunlight. The ideal time to visit this marvelous mosque is from dawn-dusk every day. Sidi Sayad Masjid is based in Ahmedabad near the Lal Darwaza. Visitors can hire private vehicles to reach the spot which is roughly at the distance of about 9.9 km from the nearby road of Ahmedabad airport via Airport road. They can also opt for vehicles from the nearby road of Gandhinagar Cap which will approximately take 29.4 km via Ahmedabad-Gandhinagar road.